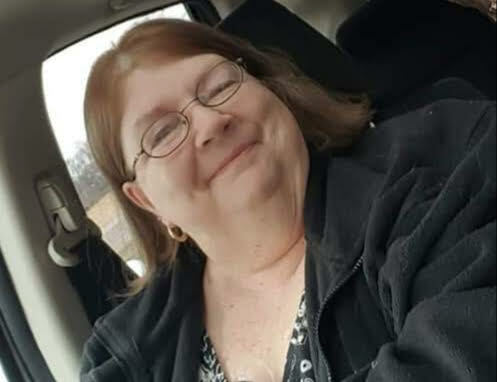 Debra L Stone, 64, of Terre Haute passed away on February 6, 2019 at Signature Healthcare. Debra was born April 6, 1954 in California to Lloyd Stone and Marie (Owens) Masi. She is preceded in death by both parents; Step-Father Angelo Masi; Brother-in-Law Dennis; Nephew Jonathon, and granddaughter Courtney. Debra is survived by her two daughters Danielle Schroer (Richard) and Jennifer Gibson (Rich Buis);brother David Stone (Kim); Sister Sharon Rootes; Granddaughters Rachael, Sammi, Gracie, and Maddi as well as many nieces and nephews. Debra enjoyed cross stitching and scrap booking. She spent time crocheting baby blankets for Union Hospital. Debra was a simple woman who enjoyed spending time with family, especially her grandchildren. Cremation has been chosen for Debra with a memorial service on Sunday, February 17, 2019 starting at 3:00 PM at Cory Zion Church, 3476 West CR 300 South Cory, IN 47846. In lieu of flowers please considering making a donation to The American Stroke Association.